Have I mentioned that I am lucky enough to know some amazing women? It’s not uncommon for one of my friends to come out with a book every now and then. 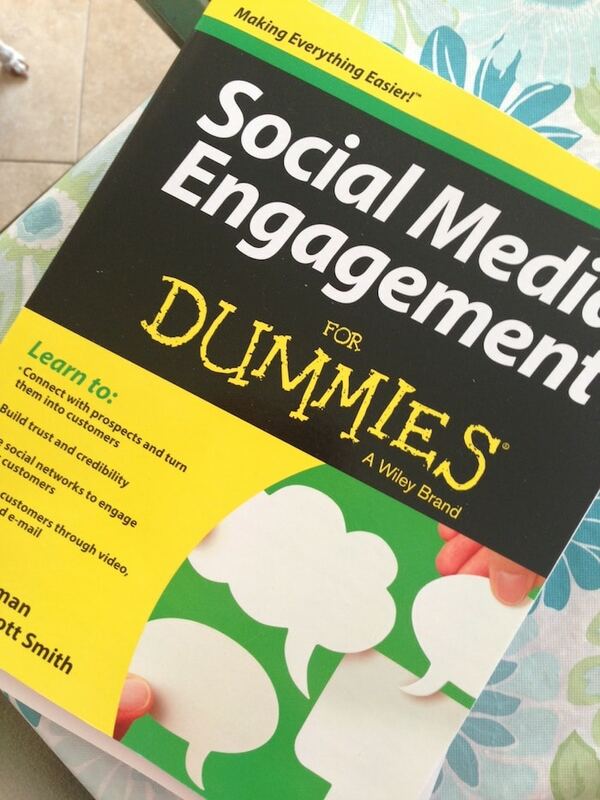 Well, this time two of them collaborated and wrote ‘Social Media Engagement for Dummies’. My hat goes off to Danielle Elliott Smith and Aliza Sherman. Together they’ve written an all encompassing how-to guide about social media. Guess who I handed it off to? My mom! She has a blog called Groovin Moms but doesn’t really “understand” Twitter and Facebook. Well, here you go!! I – of course – waited until I read it from cover to cover before passing it along. There’s always room for learning. I live and die on social media on a daily basis but am ALWAYS open to a great tip /suggestion. 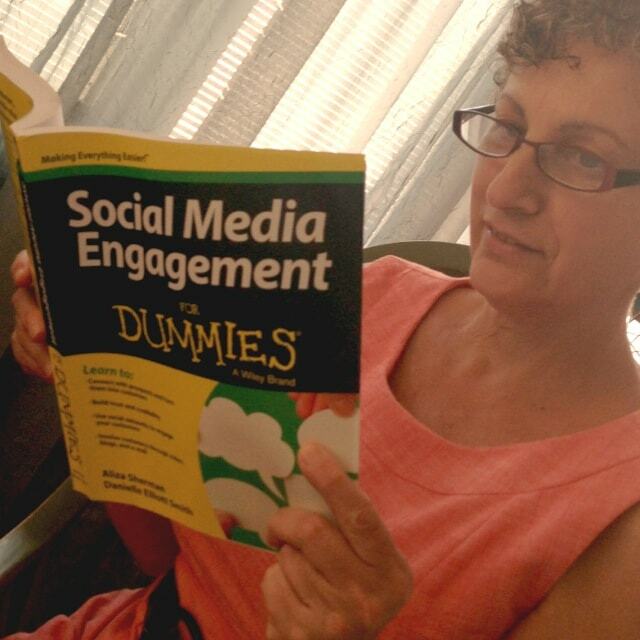 I’ve spent the last week reading through ‘Social Media Engagement for Dummies’ and I have to say – it’s jam-packed with GREAT content. I mean… if you were ever curious about Pinterest, Twitter, using video / audio on your blogs, maximizing engagement, building up a powerful newsletter distribution list and MORE – here you go! All in one bound book. 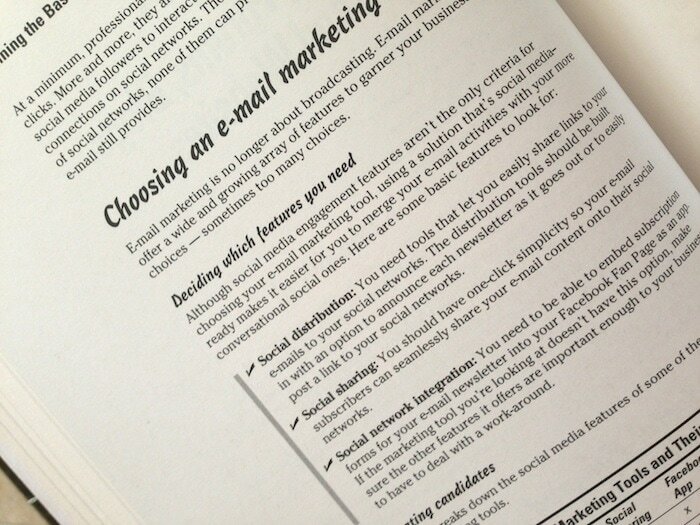 I dove deep into the LinkedIn and Google+ chapters because I really don’t use those outlets on a regular basis. Even if you are a seasoned blogger, you will benefit from this read. 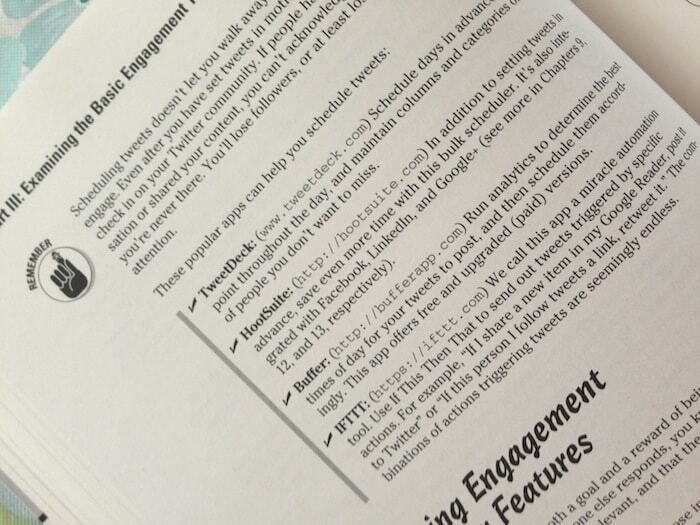 Social Media Engagement For Dummies (For Dummies) retails online for $17.93 on Amazon. You will not be disappointed. Thank you for the recommendation. I just bought it for my kindle. I can’t wait to dive in! Awesome! Congrats to them! I’ll be putting this on my list. I confess that I read at least 3 social media and SEO type books every single week, so I’m looking forward to this!